What do you think of when you think about New Mexico? 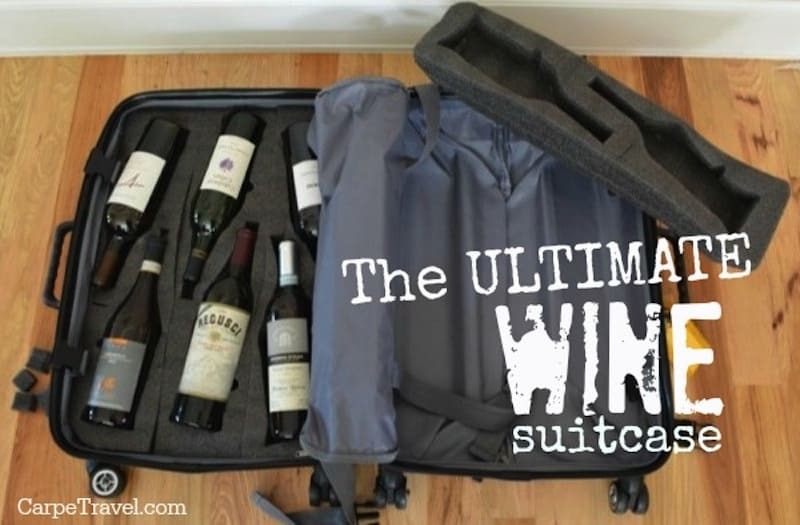 I’m guessing it’s not wine, lakes, fly-fishing or hidden away, little mountain villages. If so, then you’re probably already familiar with The Village of Ruidoso. If not, this little hidden gem tucked away in the Sacramento Mountains of New Mexico is worth seeking out. The Village of Ruidoso is a unique, off the beaten path, mountain village for those looking to escape the heat New Mexico is known for. It’s also a perfect home base for your visit to New Mexico. It’s an hour’s drive to the White Sand Monument National Park. Less an hour’s drive to the Mesilla Valley AVA wine region and multiple wineries. Three hours to Carlsbad Caverns. Or, you can just stay in Ruidoso…this little gem is an adventure waiting to happen. I’m clearly biased when it comes to visiting local wineries and brew pubs. Ruidoso doesn’t disappoint. Even though the village doesn’t lay within one of New Mexico’s three official wine regions – rather it’s 35 miles from the Mesilla Valley AVA – it is home to the Noisy Water Winery and three breweries. At the Noisy Water Winery, you’ll find a selection of red, white and green wines. Yes, I said green. The winery is home to its own brand of Chile-infused New Mexico wines, and a wide selection of artisanal cheeses. Go for a quick tasting or head to the back deck to hang out and linger over a glass of wine. Make sure to check out The Cork & Kettle too. This specialty wine and food shop offers a selection of New Mexico’s best wines with complimentary tastings and cafe tables in the back to sit down and relax. When it comes to local brew pubs, you can’t miss given there are several in this tiny little town. I personally suggest hitting The Hidden Tap – it features 30+ New Mexico craft beers on tap, a gastro-pub menu, and games for the kids. If you’re into spirits, Glencoe Distillery is a must. You’ll find distilling of fine whiskeys, flavor infused vodkas, liqueurs, and freshly made organic cocktails. Given Ruidoso is only 35 miles from the Mesilla Valley AVA, I highly suggest you head over to a few wineries near Las Cruces. A few suggestions include, Tularosa Vineyards, Dos Viejos Winery, St Clair Winery & Bistro Las Cruces, Rio Grande Vineyard & Winery. Ruidoso was first settled by the Mescalero Apache Indians who named the river, Rio Ruidoso, which translated from Spanish means “noisy river.” It should come as no surprise that you’ll find an abundance of water activities at Rio Ruidoso. Think fly-fishing, kayaking, relaxing picnics and hunting for fairies. Yes, fairies. Kids of all ages can spend the afternoon hunting for fairies along the pathway of Ruidoso’s Two River Park. Grab a map at the beginning of the Two Rivers Park river trail to follow the path leading to all the fairy’s homes, gardens and play area. It’s a fun and imaginative way to get the littles involved in a nature hike, while also learning about the surrounding landscapes. 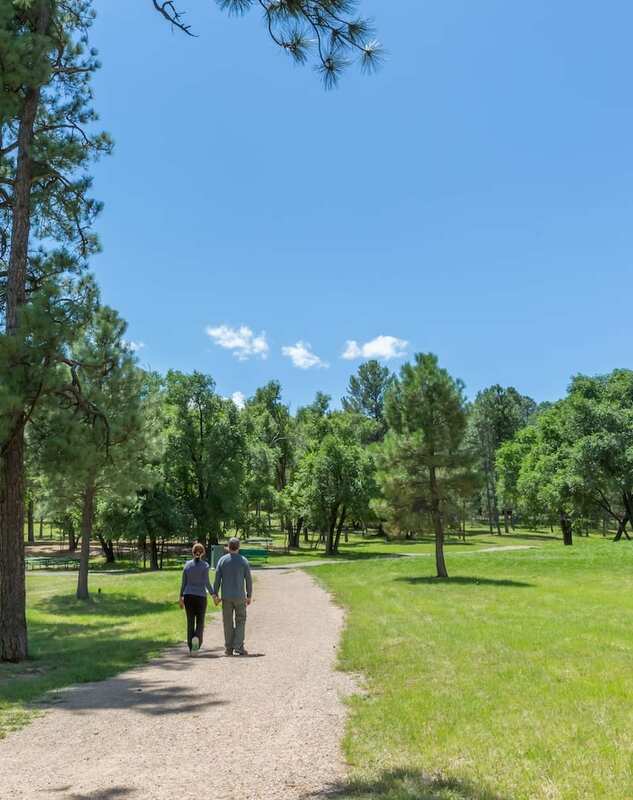 Ruidoso is home to more than a million acres of National Forest and wilderness areas, in other words, hiking and biking options are limitless. Two areas not to miss are the Lincoln National Forest and White Mountain Wilderness Area. Check out AllTrails.com for suggested hikes based on length and ability. Just five-minutes from the midtown shopping district you’ll find Grindstone Lake, which offers world class fishing with unbeatable mountain views…and the chance to catch 18”+ Brown Trout. The lake isn’t just for fishing though. Water sports are everywhere! Hikers and mountain bikers take note, the Grindstone Lake Trail System offers an 18-mile multi-use trail, designed by the International Mountain Biking Association. Do a bit of fishing in the morning, hit the trail for a ride and then sit back to enjoy your catch. Ski Apache is the country’s southernmost ski area, aka, some of the best warm-weather powder skiing. The runs are a mix of wide beginner slopes, tough bump runs, a huge bowl, cruising runs and a terrain park with jumps, tubes and rails. If skiing isn’t your thing or if you just want another adrenaline-pumping experience make sure to hit the three-part zip tour. The Ultimate Zipline reaches over 8,900 feet in length, making it one of the longest ziplines in the world. The zipline is open in both winter and summer months. If you’re visiting Ruidoso in the summer, keep in mind Ski Apache offers a ton of options for hikers and mountain bikers. Just a few miles north on Hwy. 54 you’ll find one of Billy the Kid’s favorite places – White Oaks Ghost Town. Of course, when Billy was running around New Mexico, White Oaks was a booming town. In fact, it was the second largest city in New Mexico, only surpassed by Santa Fe. The town had its boom and bust and then died. Many of the buildings still stand today, including the historic No Scum Allowed Saloon recently named one of American Cowboy Magazine’s “Best Cowboy Bars in the West,” giving visitors a taste of the old west. A visit to White Oaks is a fun, interactive way to experience the old west. Do you fancy horse racing, or just want to have the experience? 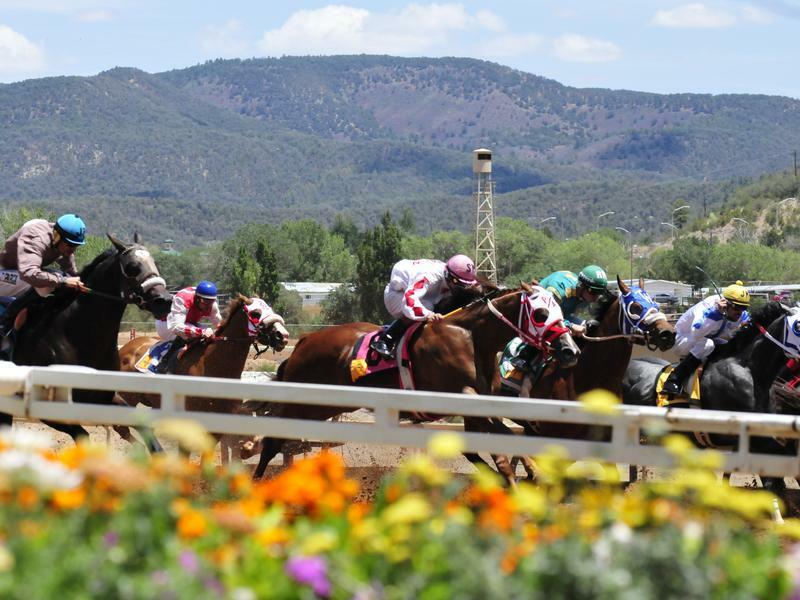 The Ruidoso Downs Race Track is the place to be. If you’re visiting over Labor Day, you’ll be able to see the annual All-American Futurity. The race is the richest quarter horse race in the world with a purse of more than $3 million. The fourth weekend in July art and wine lovers will love visiting Ruidoso for the annual Ruidoso Art and Wine Festival. The event features more 100 of the nation’s most talented artists showcasing a broad spectrum of mediums, showcasing collectible art and jewelry. In past shows artists such as Michael Hurd, son of famed artists Peter Hurd and Henriette Wyeth and Gordon Snidow have been featured. The wine tasting at the festival is a treat for locals and visitors alike as it’s an opportune time to sip and sample a variety of local wines and fare. Disclosure: As is common practice among travel and wine bloggers, I was provided with compensation for the purpose of review by the Village of Ruidoso, New Mexico. This has not influenced my review, however I believe in full disclosure AND the FTC requires it. All Photos were provided by The Village of Ruidoso. There are also affiliate links in this article, meaning if you click and make a purchase or book a hotel room I may get a few dollars. (Literally, $1-$2.) As always, I appreciate your support and for being a part of the Carpe Travel community. Cheers!